Never before in history did Western civilization reach such a point of geopolitical concision and raw power as during the Cold War and its immediate aftermath. For well over half a century, the North Atlantic Treaty Organization (NATO) condensed a millennia-long tradition of political and moral values – the West, in shorthand – into a robust military alliance. NATO was a cultural phenomenon before it was anything. Its spiritual roots reach back to the philosophical and administrative legacies of Greece and Rome, to the emergence of Christendom in the early Middle Ages, and to the Enlightenment in the 17th and 18th centuries – from which the ideas of the American Revolution emerged. Of course, key nations of the West fought as an alliance in the First and Second World Wars, and those emergency contingencies constituted forerunners to NATO’s more secure and elaborate structures. Such structures, in turn, were buttressed by a continent-wide economic system, culminating in the European Union (EU). The EU gave both political support and quotidian substance to the values inherent in NATO – those values being, generally, the rule of law over arbitrary fiat, legal states over ethnic nations, and the protection of the individual no matter his race or religion. Democracy, after all, is less about elections than about impartial institutions. The end of the Long European War, 1914–1989, saw those values reign triumphant, as communism was finally defeated and NATO and the EU extended their systems throughout Central and Eastern Europe, from the Baltic Sea in the north to the Black Sea in the south. And it categorically was a long European war, as wartime deprivations, political and economic, existed in Soviet satellite states until 1989, when the West triumphed over Europe’s second totalitarian system, just as it did over the first in 1945. China is a powerful international actor as the most populous country, the second largest economy, and a significant investor in modernizing its military. With early signs that the United States will emphasize hard power under the Trump administration, China has positioned itself as a champion of globalization and economic integration, perhaps signaling a desire to take on a greater international leadership role. It is doing this by doubling down on soft power, a measure of a country’s international attractiveness and its ability to influence other countries and publics. But what exactly are China’s means of exerting influence? In the last decade, the Chinese government has committed to boosting its appeal abroad. Beijing has been developing an international media network and establishing cultural study centers around the world. While debate abounds over whether promoting China’s traditions, values, language, and culture can win it more friends, vast funds are backing programs to enhance the country’s image. Despite its efforts, China has yet to see a significant return on its investment. What drives terrorism? Last week I began this series looking at the forces that influence trends in terrorism tactics and tradecraft in an attempt to answer that question. The first part examined the importance of ideology and terrorist theory in shaping terrorism trends. But there are other equally influential factors. Understanding them not only helps put attacks in context, but also permits observers to see how terrorism dynamics evolve so they can be predicted and forecasted. And while this knowledge doesn’t explain what leads an individual to become radicalized and join an organization or movement that embraces terrorism in the first place (that was never the intention of this series), it still has value. India has declined an invitation to join Border and Road Forum (BARF) in Beijing on 14/15th May as USA and its allies have done. Is it green shoots of Cold War 2.0 in rising power China challenging Super Power USA ? This is an IDF analysis of China under its military and political Chairman XI Jinping and India under a confident RSS supported PM Narendra Modi who is clearly driving India higher with US support, to stand up to China and tame China’s ally Pakistan, and wrest Occupied Kashmir for India where a CPEC is being built by China. China the hare and democratic India the tortoise have risen, Communist China has risen faster. The economic and military rise of India under PM Narendra Modi worries China, looking to topple USA as a super power with two sparring International camps in the world’s Geo-Economic and Geo-Political landscape in a new form of competition in the East. Super power USA under autocratic President Trump rides, like an Elephant and wants to tame China and North Korea that China and Russia support. The grass may get trampled, as India Pakistan animosity has peaked especially in the troubled Kashmir valley. The PDP party in power is isolated and BJP wants Kashmiris to succumb as as India’s Army has been hurtling fire on Pakistani bunkers with success, accepting deaths of its souls as the price to pay, fo combing operations. 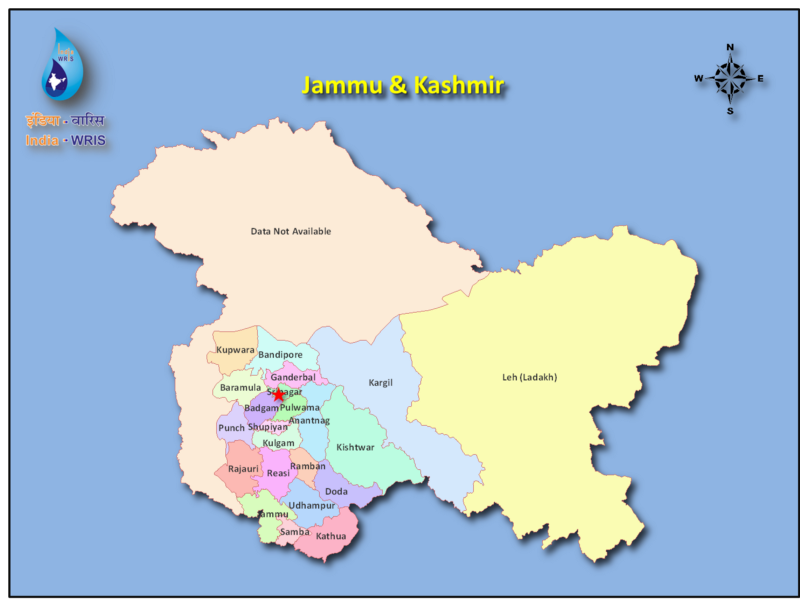 My contention is that a united Jammu and Kashmir state will be a hindrance to a sustainable political process. The British newspaper, The Independent, reports that the hackers who released ransomware last Friday that sparked a worldwide, massive cyber event — are on the verge of releasing WannaCry 2.0. — a more devastating version of the malware which continues to havoc in many parts of the globe. 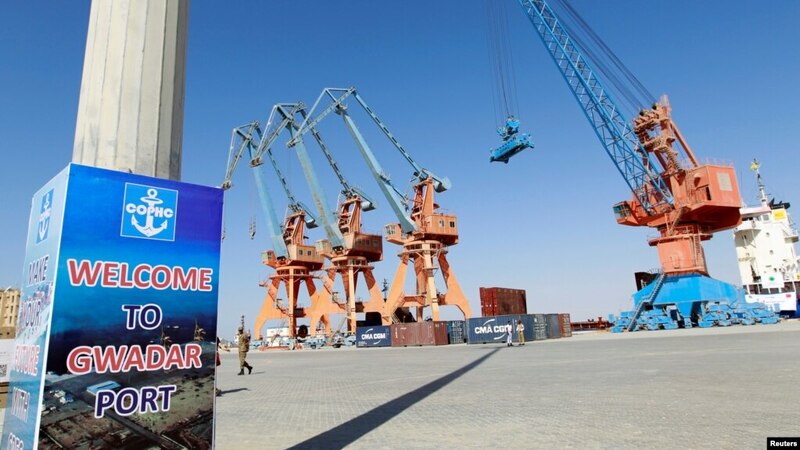 China's connectivity program involves extending the China Pakistan Economic Corridor (CPEC), which is part of BRI, to Afghanistan, and then stretching the "belt" to its neighbors -Tajikistan, Turkmenistan and Iran. The projects include two highways, two railway lines and a major hydroelectricity dam over the Kunar river. The idea is to lay a road linking Pakistan's Peshawar to Kabul and also to Kunduz in Afghanistan and further into Central Asia. Railway lines are expected to run from Landi-Kotal in Pakistan to Afghanistan's Jalalabad, and also from Pakistan's Chaman to Spin Buldak in Afghanistan. The discussion, in a USIP forum, followed a round of attacks in recent weeks across the Line of Control, a cease-fire line that divides the Indian- and Pakistani-administered sections of Kashmir. India’s announcement of a Sept. 29 retaliatory strike across that line into Pakistan-administered Kashmir was a paradigm shift in the view of many observers. India declared it conducted “surgical strikes” on sites in Pakistan-administered Kashmir that were serving as “launch pads” for Pakistani militant groups preparing to attack India. The strikes were retaliation for a Sept. 18 attack by militants on an Indian base in Kashmir. The TAI/AgustaWestland T-129 is a twin-engine, tandem seat, multi-role, all-weather attack helicopter based on the Agusta A129 Mangusta platform. The T-129 was developed by Turkish Aerospace Industries (TAI), with partner AgustaWestland. The helicopter is designed for advanced attack and reconnaissance in hot and high environments and rough geography in both day and night conditions. Under another agreement between the two countries, Pakistan will sell 52 Super Mushshak trainer aircraft to Turkey. Speaking on the occasion, Rana Tanveer Hussain said closer mutual collaboration between the defense industries of Pakistan and Turkey will help them realize the full potential in an optimal manner. Turkish Defense Minister said Pakistan is a true friend and strategic partner of Turkey and these agreements will further intensify bilateralcollaboration in the field of defense industry. The mercurial Trump has revealed no doctrine or strategy relating to the Afghan War. But in keeping with his penchant for surprise, Trump picked Afghanistan for the first-ever battlefield use of GBU-43B, a nearly 10-metric-ton bomb known as the “Mother of All Bombs.” The target, however, was not the U.S. military’s main battlefield enemy — the Taliban — but the so-called Islamic State group, or ISIS, which Gen. Nicholson told the U.S. Senate Armed Services Committee earlier had been largely contained in Afghanistan through raids and airstrikes. 'Does the country risk being enclosed in a geographical cocoon if it spurns a multi-continent project for which everyone else has signed up,' asks T N Ninan. China has started trains all the way to Duisburg on the Rhine, Tehran, and London where there was much excitement. These are the early evidence of what Beijing's One Belt One Road, OBOR, mega-plan is supposed to achieve in terms of transport networks and economic integration. The Tehran service is reported to have reached eastern China in 14 days through some difficult terrain. But an average container ship could get from Bandar Abbas in the Persian Gulf to Shanghai in about the same time, and should cost less because sea travel is cheap. The train from Duisburg in Germany will reach China faster than a ship, but here's the thing: These freight trains carry fewer than 50 containers each, whereas a container ship would carry 12,000. BEIJING — When President Trump withdrew from the Trans-Pacific Partnership trade deal in January, critics said he was leaving a vacuum at the heart of the Asia Pacific, ceding the United States’ role as regional economic leader. On Sunday, China plans to show how it is filling that vacuum. At a major set-piece event in Beijing, President Xi Jinping will project himself as the leader of a new economic order and extol an ambitious global trade and infrastructure development plan known as the Belt and Road Initiative. Some 28 leaders from Asia, Europe, Africa and Latin America — including Russian President Vladimir Putin, Burmese State Counselor Aung San Su Kyi and Philippines President Rodrigo Duterte — will attend the two-day summit. Who Is Actually Attending China's Belt and Road Forum? It’s almost here — after months of emphasis from Chinese government officials and state media, the Belt and Road Forum will open in Beijing on May 14. The two-day forum is dedicated to President Xi Jinping’s signature foreign policy project, the Belt and Road Initiative (also known as “One Belt, One Road” after its two main components: the Silk Road Economic Belt and the 21st Century Maritime Silk Road). China has touted the forum as the major international event of the year, with 29 heads of state or government to be in attendance (along with, of course, Xi himself). International organizations will be well-represented too, with UN Secretary General António Guterres, President of the World Bank Jim Yong Kim, and Managing Director of the International Monetary Fund Christine Lagarde all set to attend. The 50th annual Asian Development Bank (ADB) meeting was held in Yokohama from Thursday to Sunday, amid unprecedented challenges to the Japan- and U.S.-led infrastructure bank. Japan’s concerns about China’s increasing assertiveness in the realm of Asian development financing have been obvious since the creation of the Asian Infrastructure Investment Bank (AIIB) in October 2014. However, Japan now faces an unexpected challenge from its own partner: the potential retreat of U.S. leadership. At a recent event in Washington, AIIB President Jin Liqun made the eloquent case for AIIB’s transparent nature and multilateral design – trying to assuage Japanese and American concerns about the ADB being overshadowed or outflanked by the AIIB’s looser requirements. However, skepticism in Washington and Tokyo will remain high until projects begin being implemented according to the principles that Jin preached. Most people were not surprised when the Chinese government roundly condemned the Dalai Lama’s visit to Ulaanbaatar in November 2016 as a “splittist” attempt to undermine Mongolia’s respect for Chinese sovereignty. However, it was curious to later read similar denunciations on a website sponsored by monks and lay people that belong to the same monastic order as His Holiness. The criticism could come as a shock for those outsiders who assume that Tibetan Buddhists are united behind the Dalai Lama. In an article published on December 21, 2016, the website, www.dorjeshugden.com, condemned the Dalai Lama for recklessness at a time when Mongolia was in negotiations for Chinese economic assistance. In a side comment, the article compared Mongolia’s economic crisis to the growing pains attributable to the transition from being “Asia’s next golden child to an awkward binge drinking and debt-ridden teenager with behavioral issues.” After referring to previous Chinese state loans to Mongolia, the article observed that the visit had “dampened the hopes of big brother China coming to Mongolia’s aid again [emphasis added].” The visit had “plunged the Mongolians deeper into despair” because it hindered the prospects of a bail-out by Beijing. The author also claimed that the Dalai Lama showed a selfish indifference to Mongolia’s plight. On the battlefield, the first day-after task will be to mop up and count heads. Defeat is far from destruction in detail, which should be the tactical goal. Al Qaeda in Iraq, the forerunner of Daesh, was one of the most completely destroyed terrorist groups in history. In a few short years, a handful of its members hid out and reconstituted in the fertile ground of the Syrian civil war. In 2014, re-empowered, few thousand of them invaded Iraq, bested its Army, and seized a third of Iraq, including Mosul, a city of a few million people. Election Hacking: A False Russian Flag in France? In the murky world of cyber operations, where there is smoke, there are often mirrors. And in the reports about alleged Russian hacking in the recent French presidential elections, there seems to be an abundance of both. 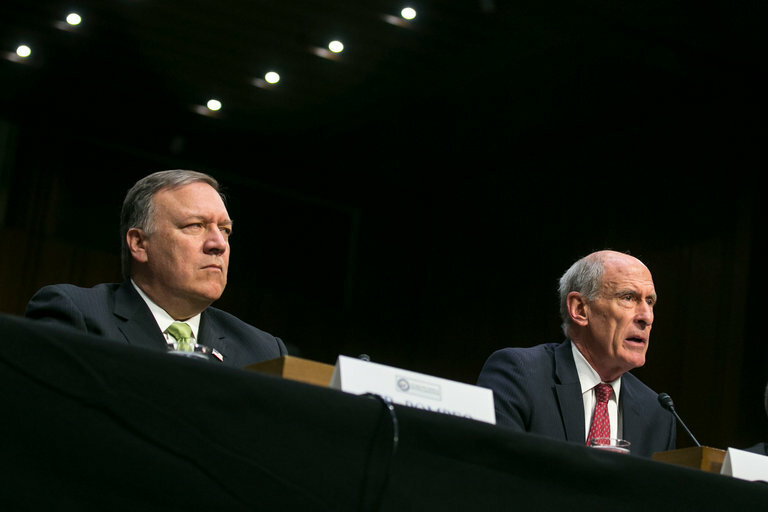 Many have been quick to blame Moscow once again for cyber meddling; some have raised caution flags about attribution, pointing to anomalies in the evidence. The publicly available information on the operation provides no clear answers, highlighting the importance of careful investigation before drawing conclusions about any of a long list of possible suspects. Have you ever read an Army Field Manual and wished you could have added your two cents prior to it accumulating dust on your office shelf? Here’s your chance. The Strategy Bridge, The Military Leader, and From the Green Notebook are excited to announce that beginning on May 14th we are hosting a three week series focused on the current Draft of Field Manual (FM) 3-0: Army Operations. Each week one of our sites will post a question or series of questions on our Facebook pages for discussion. Answers and feedback will be sent directly to the authors of FM 3-0 for consideration. The Army Chief of Staff (CSA) asked Training and Doctrine Command and the Combined Arms Center to write a new FM 3-0 to address, in a comprehensive fashion, how the Army conducts operations in an operational environment where the prospect of large scale combat against a capable regional peer adversary is no longer unthinkable. The CSA determined that the Army lacked adequate doctrine to account for large scale combat operations in a multi-domain environment, what happens during operations short of large scale combat, and how to exploit tactical success by consolidating gains to achieve enduring results. Here is SIPRI’s data-rich synopsis of global military expenditures for 2016. Unsurprisingly, the numbers remain sobering – i.e., the world’s total outlays reached an estimated $1686 billion or $227 per person. The good news, however, is that 1) after thirteen consecutive years of increases (from 1998 to 2011), world military spending has continued to plateau, and 2) the fall in oil prices has led to substantial decreases in this type of spending by oil-exporting countries. Read on for more data, including who were the biggest military spenders during the year and how the expenditures broke down by region. For many commanders and other military leaders, the role of law in twenty-first century conflicts is a source of frustration. Some think it is “handcuffing” them in a way that is inhibiting combat success.1For others, law is another “tool that is used by the enemies of the West.”2 For at least one key ally, Great Britain, law seems to be injecting counterproductive hesitancy into operational environments.3All of these interpretations have elements of truth, but at the same time they are not quite accurate in providing an understanding of what might be called the role of lawfare in today’s military conflicts. Senior Chief Special Warrant Kyle Barristan raised an eyebrow as he watched the Sergeant survey their equipment. Wisely, he asked permission before entering the ACT—Advanced Reactionary Technology—squad tent. Unwisely, the Sergeant seemed to have forgotten his purpose and surveyed the ACT equipment. By necessity the existence of most of the equipment had been declassified, but ACT Squad members—the famed Chrome Caps—still discouraged random curiosity. The tent offered a great deal to satisfy such random curiosity. Mixed among the Army cots designed in the Vietnam conflict—never fix something that worked—were neat arrays and rows of micro-drones called Skippers and Gnats. Neatly hung to one side were six body armor suits looking like a cross between a wetsuit and a still suit from Dune. Computers and advanced weaponry in a canvas tent—though lined with insulating material—formed a juxtaposition every bit as strange as a smartphone in a World War I trench. Only the six Special Warrant officers—specially trained and selected to use this advanced weaponry—seemed at home both with the technology and without. In September 2015, the US Army Europe Joint Multinational Readiness Center’s Raptor 14 Team supported “Battle Staff Attack the Network/Network Engagement and Company Intelligence Support Team” training for Ukrainian Armed forces Officers conducting antiterrorism operations (ATO) at the International Peacekeeping and Security Center (IPSC) in Yavoriv, Ukraine. To help Ukrainian intelligence staffs understand their operational environment (OE), doctrinal tools for intelligence preparation were not adequate. This experience serves as a case study on how cross-functional staffs and Company Command teams can apply a concept called complex intelligence preparation of the battlefield (complex IPB) to improve problem framing, understand relevant issues at all levels, and inform operational planning. Complex IPB focuses on ways to understand group dynamics and how they influence the behavior of relevant populations. Complex IPB can support the Army’s doctrinal intelligence preparation of the battlefield (IPB) process and the joint process called joint intelligence preparation of the operational environment (JIPOE). No surprises there, of course. But as our infographic below shows, the scale of its dominance varies according to device. On desktop, Google enjoys a global market share of 80.5 percent. Moving on to mobile this jumps to 95.9 percent but you really hit 'peak Google' when looking at consoles. Here, the world's search engine of choice has no distance left to run, utterly dominating Playstation et al. with an ironclad 99.4 percent market share. The data in this chart was provided by Net Market Share. This chart shows global search engine market share in February 2017, by device type. US President Donald Trump signed an executive order on cybersecurity on Thursday, outlining plans to address the cybersecurity of federal networks, the cybersecurity of critical infrastructure , the cybersecurity of the nation as a whole, and how to ensure that the United States achieves long-term excellence in cybersecurity. WASHINGTON — On the same day that President Trump went on Twitter to renew his claim that the focus on Russian hacking was “a Democrat EXCUSE for losing the election,” his two top intelligence officials told the Senate on Thursday that Russian cyberactivities were the foremost threat facing the United States and were likely to grow only more severe. May 11 2017, 10:57 a.m. In early December 2016, Adam was doing what he’s always doing, somewhere between hobby and profession: looking for things that are on the internet that shouldn’t be. That week, he came across a server inside New York University’s famed Institute for Mathematics and Advanced Supercomputing, headed by the brilliant Chudnovsky brothers, David and Gregory. The server appeared to be an internet-connected backup drive. But instead of being filled with family photos and spreadsheets, this drive held confidential information on an advanced code-breaking machine that had never before been described in public. Dozens of documents spanning hundreds of pages detailed the project, a joint supercomputing initiative administered by NYU, the Department of Defense, and IBM. And they were available for the entire world to download.